Adjustable glass shelves with plate grooves offer the perfect stage for your china in our Queen Anne inspired Evendale Court Petite Canted Hutch. New heights of elegance, sophistication, and style can be achieved in your dining room with our Evendale Court Petite Canted Hutch. 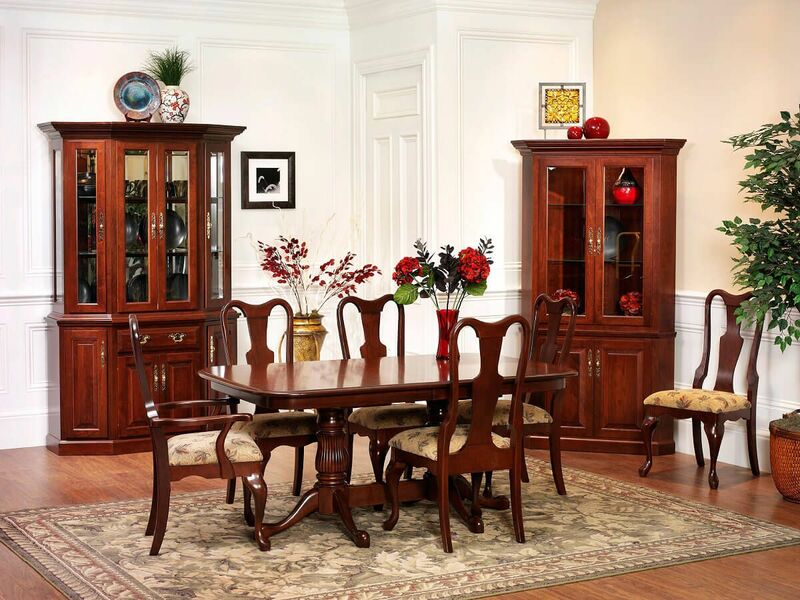 Solid wood construction and the craftsmanship of Amish artisans developed over generations ensures your china cabinet will pass through your family for years to come. Standard features include touch controlled lighting, a mirror back display, a soft close drawer, and concealed door hinges. Make your choices from our options menu and Countryside will build your Evendale Court Petite Canted Hutch to order. 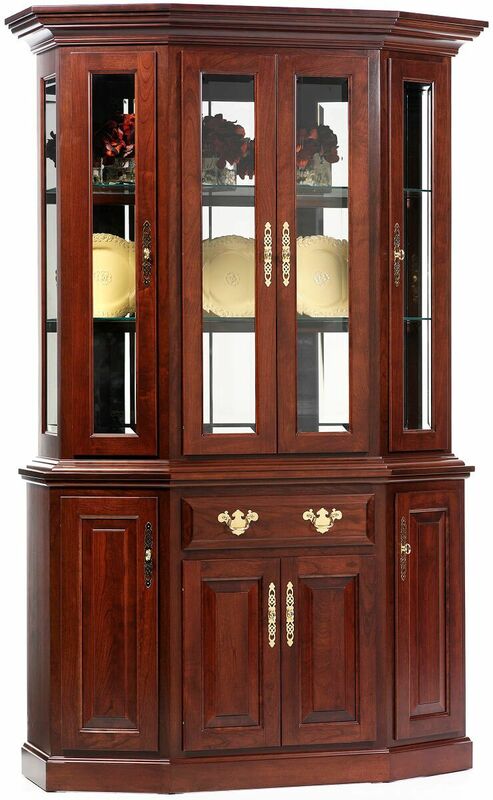 This china cabinet is pictured is Cherry with our Cherry Mocha wood finish.